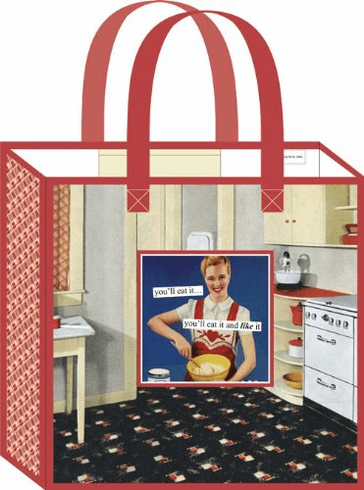 Shopper - You'll Eat It. . .
Home > Costumes, Clothing, & Accessories > Accessories > Totes, Pouches, & Suitcases > Shopper - You'll Eat It. . .
Save the planet while bringing home the bacon (or tofu) in our Earth-friendly Shoppers. Strong, reusable, water resistant Shoppers feature interior pocket, nylon shoulder straps, and matching piping. 15 3/4" x 15 1/2"h with 6 3/4" gusset.